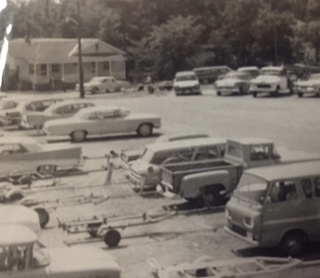 In 1958, Warren W. Cobb, Sr. purchased a piece of land that was being used as a fish camp in what was then Princess Anne County to create his marina. He felt that it would be a boon for the area and compliment his love of boating. 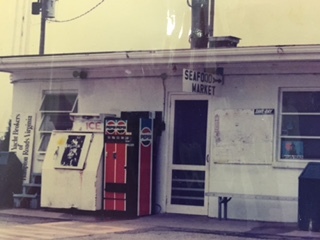 He and his son Warren Jr. worked as a team to build what has become a long-standing business and important permanent fixture in the Ocean View area of Norfolk. Today, over 60 years later, Peggy, John and Nancy Cobb work as managing partners and continue to provide a boatyard, slips, and ships store for the area’s busy boating community. The Cobbs grew up serving boaters while they learned their father’s business philosophy of integrity. These days they stay busy improving the popular Cobb’s Marina. With the help of a committed and well-appreciated staff, Cobb’s Marina strives to serve boaters with the same dedication and professionalism that has allowed us to thrive since 1958. Because of our environmentally sound operating and maintenance procedures we have been granted the status of a Virginia Clean Marina. We provide 70 wet slips for annual and transient boats and land space for storage or repair. We have two travelifts and can haul boats up to 21.5 feet wide and 75 tons. Cobb’s boatyard has grown over the years and today no job is too big or small. We offer our experienced professional boatwrights and ABYC trained and certified technicians on a wide range of services. We’re also one of the few remaining yards to welcome the Do-It-Yourself boater.